The enchantment of a piece of writing delivered by the human voice may come on little cat feet, so to speak, slipping in so softly that we hardly notice its arrival. It can also dash forward and strike with a blow, as it did one night in 1917 to the future novelist and folklorist Zora Neale Hurston. Hurston had enrolled in a night high-school English class taught by a man named Dwight O. W. Holmes. Enfolding sunny spots of greenery . . .
What happened to Hurston that night was a kind of intellectual and aesthetic liberation: the sound of her teacher reading Coleridge was so thrilling, so arresting, that it cut her loose from the life she might have had and freed her to find her destiny as a writer. Like Douglass, the future missionary and preacher Thomas Johnson paid close attention to readings of the New Testament at night. Johnson would ask to hear certain passages repeated, so that he could fix the words in his mind, and then he would compare what he’d heard with what he saw printed in a stolen Bible that he kept hidden away. Reading aloud became, for these determined men, a secret staircase that led to the open air of intellectual escape. 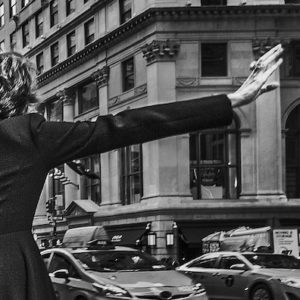 A few years later, eight hundred miles to the west, retelling literature from memory came to the rescue for Helen Fagin, a young prisoner of the Warsaw ghetto. “Being caught reading anything forbidden by the Nazis meant, at best, hard labor; at worst, death,” she writes in an essay for the collection A Velocity of Being. I conducted a clandestine school offering Jewish children a chance at the essential education denied them by their captors. But I soon came to feel that teaching these young sensitive souls Latin and mathematics was cheating them of something far more essential—what they needed wasn’t dry information but hope, the kind that comes from being transported into a dream-world of possibility. Fagin had spent the previous night devouring a contraband copy of Margaret Mitchell’s Gone with the Wind, so her own dream-world was still “illuminated” by the story. As I “told” them the book, they shared the loves and trials of Rhett Butler and Scarlett O’Hara, of Ashley and Melanie Wilkes. For that magical hour, we had escaped into a world not of murder but of manners and hospitality. All the children’s faces had grown animated with new vitality. A knock on the door shattered our shared dream-world. As the class silently exited, a pale green-eyed girl turned to me with a tearful smile: “Thank you so very much for this journey into another world. Could we please do it again, soon?” I promised we would, although I doubted we would have many more chances. It is no accident that repressive governments often limit people’s access to books and information. That was true in Spanish Cuba, when the authorities put a stop to the public readings in the cigar factories. That was true in the Warsaw ghetto for Helen Fagin. Books consumed in private cultivate independence of mind, a thing unwelcome and even dangerous when the culture outside is in the grip of orthodoxy. The experience of Chen Guangcheng, the blind human rights activist who made a dramatic escape from house arrest in China to the American embassy in 2012, speaks to the power of reading out loud as a means not only of liberating the listener’s imagination but also of engaging his critical faculties. If those faculties happen to be subversive, well, the responsibility for that doesn’t lie with the thinker but with those who would stop him from thinking. Chen was born in 1971, and in rural China the blindness that took his sight after a fever meant that he could not get a formal education. As a result, he spent his days isolated from other children. While the rest of the kids in his village attended the Communist Party–run local school, Chen spent his time trapping frogs, devising gimcrack homemade guns, and building kites that he couldn’t see, but whose airborne vibrations he could feel through the string in his hand. His mother was illiterate, but his father had picked up the rudiments of reading and writing just before the Cultural Revolution shuttered the schools in 1966. In the horror and tumult of the next decade, young Red Guards plundered libraries and ransacked temples, smashing and burning books and antiquities. They brutalized and rusticated the educated, the once-prosperous, and the insufficiently zealous in a state-sanctioned campaign to extirpate the “four olds”: old ideas, old customs, old habits, and old culture. The fever would pass, but even as Chinese society was shuddering in the aftermath of the revolution, Chen Guangcheng’s father was doing something extraordinary. Quietly, every night, he read to his blind son. In doing so, he imparted old ideas, old customs, old habits, and old culture. “My father and I would sit under the kerosene lamp as he read aloud, making out the words in a halting rhythm, his voice rough and low,” Chen recalls in his memoir, The Barefoot Lawyer. Their books ran from folktales to history to Chinese classics. Father and son read the sixteenth-century novel Investiture of the Gods. They read the sprawling, tragic eighteenth-century love story Dream of the Red Chamber (banned during the Cultural Revolution). They read the fourteenth-century epic Romance of the Three Kingdoms, also banned, on the grounds that it encouraged mythology. Hour after hour, sometimes sitting up, sometimes lying by his father’s side on a narrow bed, the boy listened. “The stories my father read to me served as a counterpoint to the official party line and the usual propaganda,” Chen writes. Just as important was that my father’s stories and our discussions about them gave me an organic education in ethics, providing a framework with which to understand my experience as a disabled child. The stories I heard when I was young allowed me to imagine myself in the position of the characters, to consider how I would react if faced with similar challenges, to devise my own responses and then to compare them with what actually took place. Chinese history is full of examples of the disempowered overcoming the odds through wit and daring. Though I lacked the conventional education of my peers, I also avoided the propaganda that was part and parcel of the party’s educational system. Instead, my father’s tales became my foundational texts in everything from morality to history and literature and provided me with a road map for everyday life. It is a brilliant testament to the dedication of a loving father, and to the excellence of five olds: old ideas, old customs, old habits, old culture, and the old practice of reading aloud. Wherever young people are growing up, they deserve to know what went into the making of their world. They have a right to be free to enjoy the richness that history and culture have bequeathed them. By reading aloud, we can help make that happen. 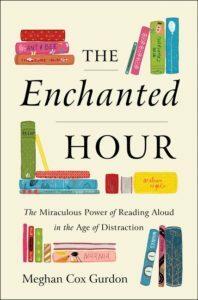 From The Enchanted Hour: The Miraculous Power of Reading Aloud in the Age of Distraction by Meghan Cox Gurdon. Used with permission of Harper. Copyright 2019 by Meghan Cox Gurdon. Meghan Cox Gurdon is an essayist, book critic, and former foreign correspondent who has been The Wall Street Journal's children's book reviewer since 2005. Her work has appeared widely, in publications such as The Washington Examiner, The Daily Telegraph, The Christian Science Monitor, The Washington Post, The San Francisco Chronicle, and National Review. A graduate of Bowdoin College, she lives in Bethesda, Maryland, with her husband, Hugo Gurdon, and their five children.